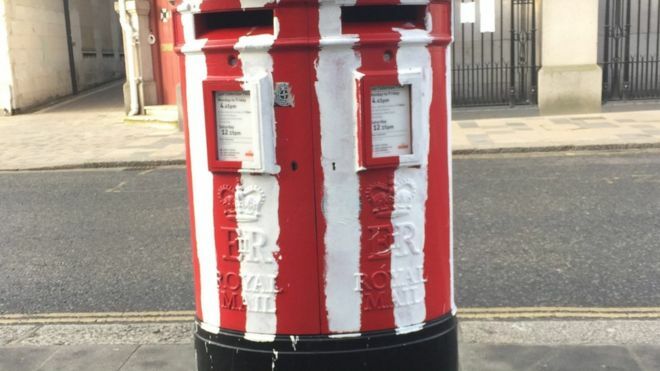 Southampton football fans have celebrated their team reaching the EFL Cup final by painting the city’s post boxes in the club’s famous stripes. Two red post boxes have been given white stripes to match the Saints’ colours since Wednesday’s semi-final win over Liverpool at Anfield. The makeovers have been met with support by local business owners and residents who called it a “fun” change. But Royal Mail said it planned to remove the stripes as soon as possible.